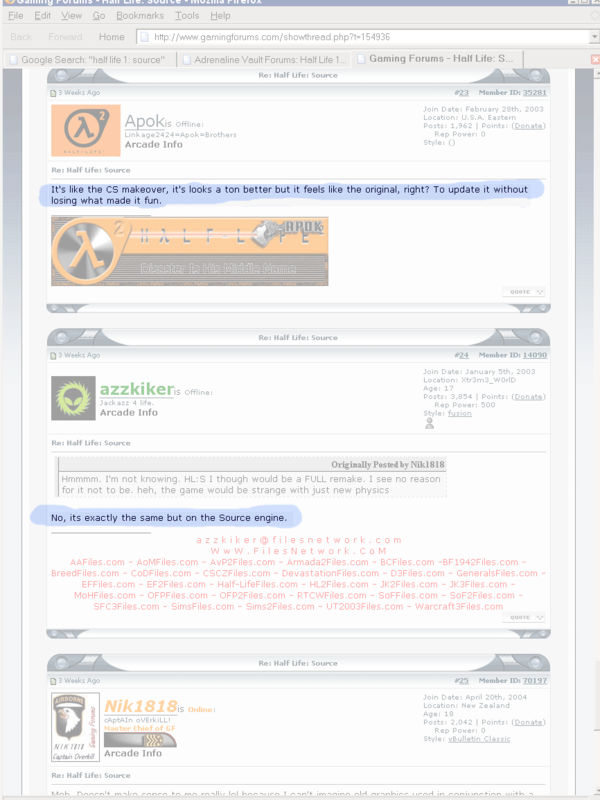 While trying to determine some information about what exactly Half Life 1: Source was going to involve, I came upon this forum page, which is interesting because of the amazingly low density of content (if forum posts can be called content), probably the worst I've ever seen. I've taken the liberty of providing you with this PNG file which has emphasized the content versus the non-content, at least as the page rendered on my browser. The thing to realize is that on the actual page, by no means does the content jump out like this; just the opposite.